The telecommunications end-user segment is expected to hold the largest share of the HDI market during the forecast period. The growth is attributed to the increasing usage of HDI PCBs in communications devices, such as smartphones, and in communications equipment, such as routers, switches, and modems. The telecommunications end-user segment requires high frequency of operation and high number of signal layers which is achieved through HDI. APAC is expected to hold the largest share of the HDI market during the forecast period. This can be attributed to the increasing application of HDI in consumer electronics, automotive, and healthcare verticals in countries such as China, India, and South Korea. It is also due to the extension of telecommunications networks in China, Thailand, Malaysia, South Korea, India, and other developing countries in APAC. The HDI market has been segmented, based on product, into 4–6 Layers HDI, 8–10 Layers HDI, and 10+ Layers HDI. On the basis of end user, the market has been segmented into automotive, consumer electronics, telecommunications, medical, and others (industrial and instrumentation and aerospace and defense). This report segments the HDI market comprehensively and provides the closest approximations of the overall market’s size, as well as that of the subsegments across different verticals and regions. 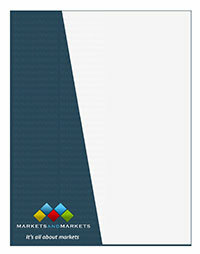 The report helps stakeholders understand the pulse of the market and provides information on key market drivers, restraints, challenges, and opportunities. This report would help stakeholders understand their competitors better and gain more insights to enhance their position in the business. The competitive landscape section includes competitor ecosystem, expansions, acquisitions, collaborations, and partnerships in the HDI market.